Imagine letting go of your stuck, heavy energy and releasing it so you feel lighter, more radiant, more connected. Imagine transforming your challenges—relationship, life path, financial, social, or physical—by learning to shift your energetic response to them. Imagine finding alignment and flow between you and the universe that surrounds and supports you. This is the potential that Weave the Heart of the Universe into Your Life: Aligning with Cosmic Energy offers you. Imbued with indigenous wisdom and shamanic insight, Weave the Heart of the Universe into Your Life to stimulate your dreaming and deepening connection with everything alive. My mission is to help you discover and explore simple, practical, and effective ways to connect with the energy, mystery, and power of nature and the universe. I’ve been curious about the universe all my life. I’ve also been committed to personal and social change. My question has always been: with all our knowledge, how do we rectify the inequity, conflict, suffering, and separation people experience? I sought answers from many wisdom traditions. Yet my own story—the loneliness, despair, and sense of being stuck common to so many of us—got in the way. I could not vision a different world when I was relying on the same assumptions, thought patterns, habits, and stories that had defined my life. None of us can. When I was introduced to animist and shamanic worldviews, a portal opened. 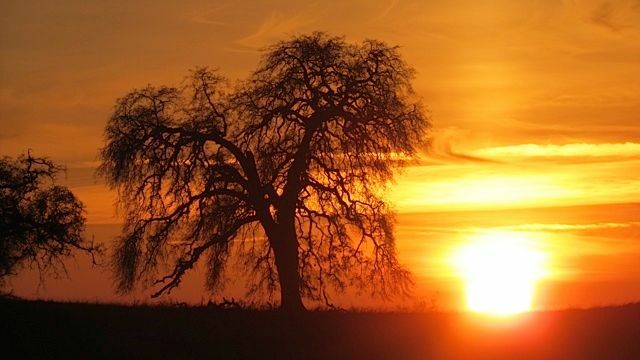 A sacred relationship with the energy and spirit in all things, the power to transform, and a deeply rooted connection with nature lie at the heart of those lifeways, and offered a way forward. What I experienced, especially with the Q’ero and Quechua people of the High Andes, was the joy that emerges when you let go of what weighs you down and connect with the universe that surrounds you. The ancient Inca and Q’ero practice of filling with lighter energy—cleansing winds from the mountaintops, a brilliant night sky, the companionship of other villagers—maintains their fluidity. Instead of perceiving their very hard lives with self-pity or sorrow, they live with presence and joy. I wanted to know their secret. The secret that I learned over the last 25 years is this: by connecting your own heart energy with the energy of earth and the cosmos, you experience yourself as an integral part of the energetic flow between all living things. As animist cultures around the world say, when you make a relationship with mountain or tree, river or wind, the living energy of that being reciprocates and begins to teach you. When you learn to experience the aliveness in everything, your sense of connection to, alignment with, and perception of the whole world shifts. When you tend your flower and vegetable gardens, the plants nourish you with food, beauty, and connection. 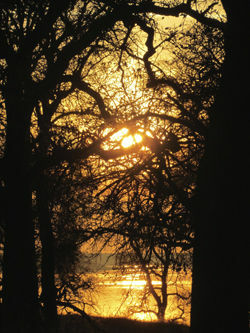 When you maintain the forest, the forest breathes you, exhaling oxygen to support all life on the planet. When you keep an ecosystem whole and intact, it offers you the sublime diversity of animals, insects, plants, humans and energy in balance. This is the balance that supports all life, the balance that indigenous peoples weave their lives around. Why The Heart of the Universe? The heart of our universe is alive, vibrating energy. It is a sea of potential—a void, empty but full of all possibility—communicating with us and within us across space and time. Like us, the universe is made of the elements in stardust. Like us, the universe is alive, aware, and interconnected with all its parts—you, me, and the galaxy upon galaxy that surround us. Feeling our way into these interconnections feeds our opportunity and potential for “dreaming a new dream” for the planet. To connect with the cosmic heart is to experience all of creation through your human heart, to put yourself in dialogue and communication with the earth and the cosmos. Seeing living energy as a model of the universe gives you a profound and transformative way to perceive and make sense of reality. By weaving ancient wisdom and quantum perceptions together, and exploring your direct relationship to the living energy in all things, you can feed your sense of belonging and your ability to survive and thrive. The possibilities for your perceptual shifts are enormous. When you experience the living energy in all things, your connections are renewed. When you access the heart of the universe—working with energy patterns, meditation, vision, and shamanic journey—your sense of the possible expands. When you observe the congruence of energy, spirit, and nature, worlds open; your heart connection with the heart of the universe opens. When you connect your body and cells to the heart of the universe, your whole energy changes. You are receptive to insights from the cosmic field, wisdom from what some of you call the Akashic Records. Everything changes in what you perceive, how you experience and respond, and how your cells interact with the universe. It is your free will to do this or not. The results arise from the void, all possibility, so they aren’t “known” in advance. You enter into the great mystery…the enigma, the sacred wisdom. This sacred, ancient wisdom and the paradigm-shifting ways of seeing in this book have been transformational for many of my students and readers. It is my hope that experiencing your own connection with the living universe will bring you into greater harmony and alignment, expand your sense of the possible, and guide your life path in beautiful ways. Buy This Book! 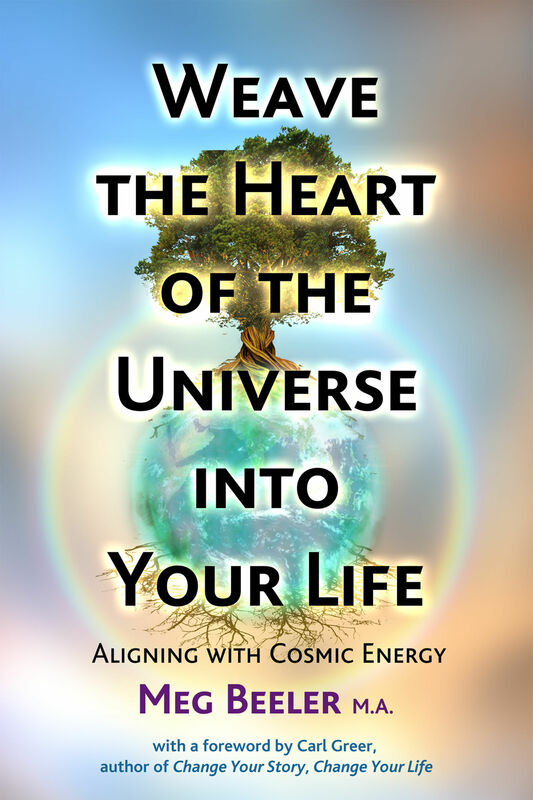 Weave the Heart of the Universe into Your Life: Aligning with Cosmic Energy by Meg Beeler. We encourage you to order from your local bookstore through IndyBound (or Amazon if you must)!